7 Best Windows 10 Apps You Must Get Right Now! So, have you installed Windows 10’s April update? Well, if you haven’t installed it yet you must surely get it right away! Windows 10’s latest update offers plenty of useful features and design tweaks to make our experience much more delightful. But apart from this can we do something to make Windows 10’s environment more pleasing? Yes, of course! Here are the 7 best Windows 10 apps to boost your productivity and enhance your experience. 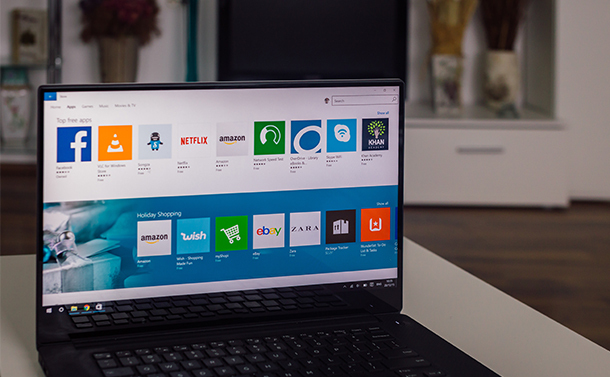 Even if your PC is running on previous versions of Windows these bunch of apps will bring some change and make your everyday tasks easier. Let’s explore some of the best Windows 10 apps of 2018. Finally, Pocket Casts has made its way to Windows 10. It is surely one of the best podcast player apps for Windows 10. Pocket Casts includes a massive library and allows you to play content at different speeds. You know what’s the best part? The app is cross platform! So, you can sync it with Windows, Android or iOS as well and make the most of it on any environment. As of now, Pocket casts is available as a Beta version on Windows 10. You can also take up the 14 days free trial and get your hands on the app without paying any additional subscription cost. Did you know you could control your Philips Hue Smart lights from Windows 10 too? Well, yes that’s pretty much possible. With hueDynamics app you can easily turn lights on and off, set scenes, change the color of lights, and more. By syncing your lights with your computer, you can even perform multitasking and assign new tasks to each button. hueDynamic is also a cross platform application available for Windows, Android and iOS. Snipaste is so far one of the best screenshot capturing app for Windows 10. It quickly grabs a screenshot and also supports a bunch of keyboard controls to make your tasks easier. You can instantly save your images and place them on your clipboard to pop them somewhere else on your PC. Along with images, Snipaste also allows you to record GIF’s and videos. Isn’t it cool? Textto is your ultimate savior to link your PC and Android Smartphone. Once you sign up to your Gmail account, the app will then allow you to send and receive text messages on your PC. It has a simple and intuitive interface and syncs both the devices seamlessly. Now easily custom swipe gestures on touch screen or precision touchpad with GestureSign. It is one useful Windows 10 application which allows you to capture signatures instantly. Apart from offering basic functionalities you can also turn the volume or brightness up and down, launch a browser, and do a lot more. Power Director 16 is an ultimate video editing app for Windows 10. You can easily edit videos on the timeline and even if you’re using the app for the very first time, its intuitive interface will guide you step by step through the process. The app supports transitions, effects and text titles to make your videos more beautiful and engaging. Last but not the least, on our list of best Windows 10 apps comes Piny. With the help of this app, you can easily use Pinterest on your Windows 10. Pinterest is one massive photo catalogue social media application which offers pictures and quotes on various ideas. It so far has some of the best social media content online. So, if you’re looking for using web version of Pinterest, Piny is an ideal application for Windows 10. Here were the 7 best Windows 10 apps to look forward in 2018. Stay tuned for much updates! What is Year 2038 Problem And Is It Similar To Y2K Bug?